Numskull Street Art Mural | Oi YOU! The Christchurch Earthquake Recovery Authority (CERA) asked Oi YOU! 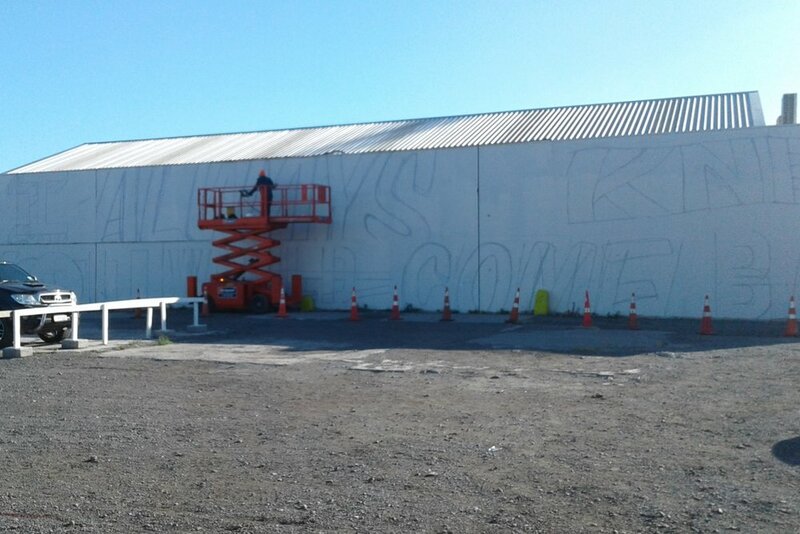 to conceptualise and deliver a street art project that would engage the Christchurch Public. Under the name of Word Up, we asked people to submit a phrase that reflected how they felt about the city. We received over 350 entries, the winner being "I always knew you would come back". 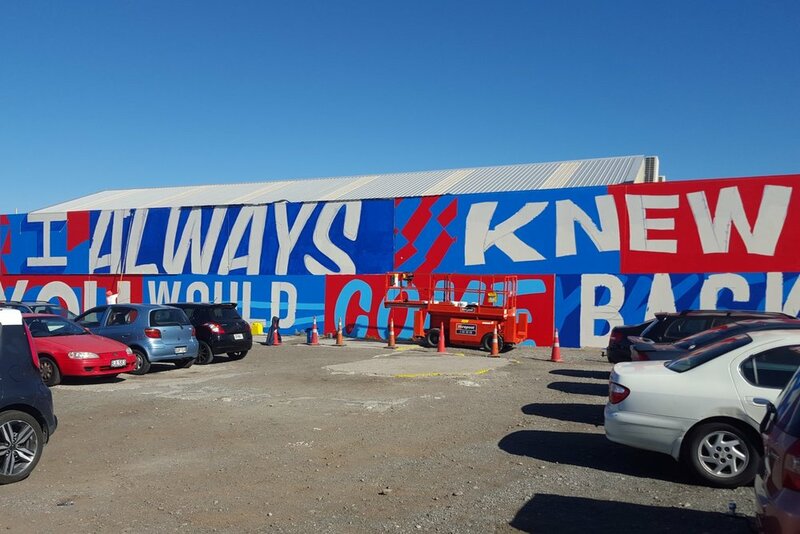 Sydney artist Numbskull painted the chosen words. Work in progress through to completed mural.